There comes a time as an adult where we crave for our home to reflect just how grown-up we really are. The checklist looks something like this: a good mattress, a few home essentials, appropriately framed and mounted wall art and a designated location for every single item in your home. With the latter comes the need for a concise storage system—every bottle, jar, trinket, and linen deserving of its own cubby. 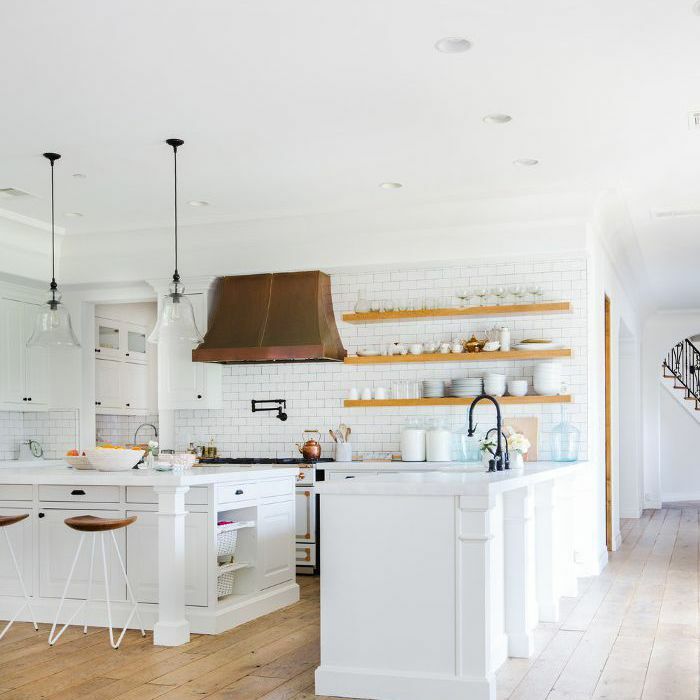 However, the one place we often see the biggest lack of space in is the kitchen. This also coincides with it being one of the most crowded when it comes to house admin materials (cleaning supplies, sponges, tools, etc.). In a room that often intersects with a bustle of guests and family members rotating through, you want your kitchen to not only put its best face forward but support you in your creative cuisine pursuits. Understanding your pain—we feel the need for a fluid kitchen sink system too—we’ve sourced 15 of the best under-sink storage setups so that your counter space becomes a source of organization and inspiration as you set out to master this week’s menu. 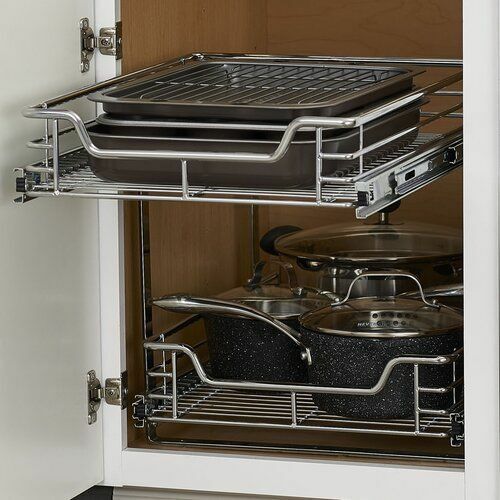 The Iris Expandable Under-Sink Organizer is easy-to-install and even easier-to-customize to your exact needs. 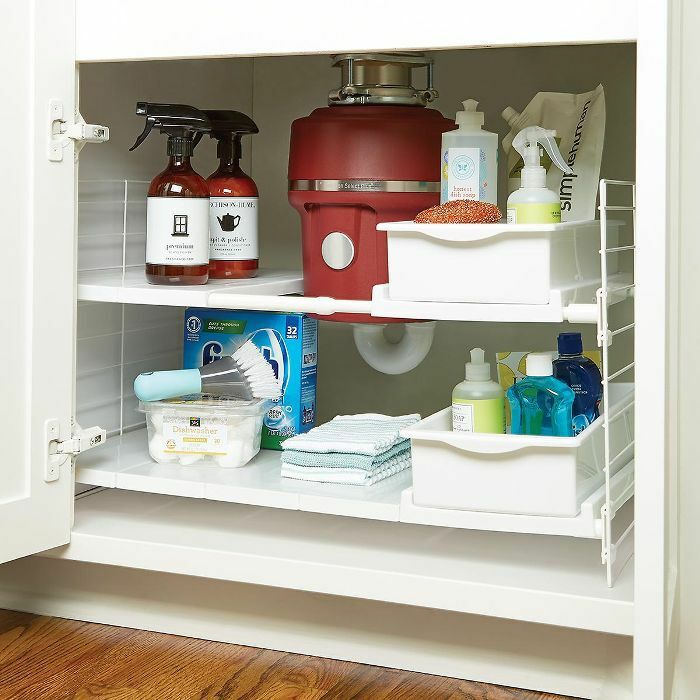 Not to mention a great solution for just about any situation—with the accessible pull-out organizers and six-shelves for storage, you can easily find a hiding place for all your cleaning supplies. 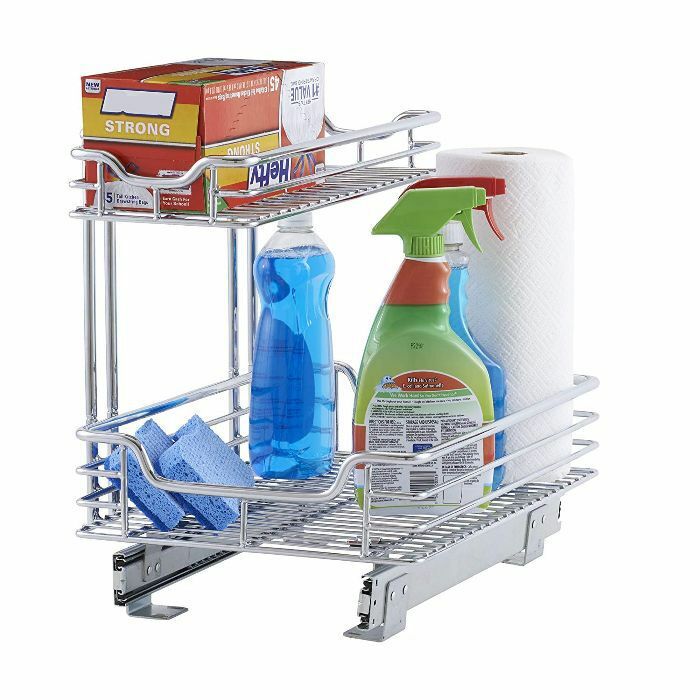 This purchase is for those who find solace in a deep cleaning session—just slide the narrow caddy in or out for easy access. 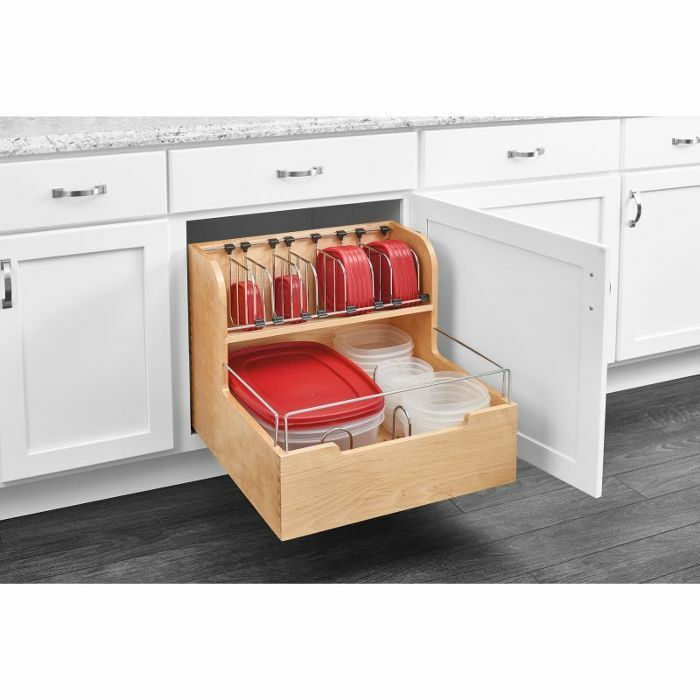 This is a great option for tight spaces as the design allows it to fit snug with the under-sink pipes and the bottom tray to adjust to your needs. The top handle can also be used to hang rubber gloves or cleaning cloths out to dry. This chrome cabinet storage is for those who may not have a ton of counter space. Keep sponges, hand soap and more on the caddy to conceal them out of sight at all times yet at reach. Wet items can sit to dry on the metal without creating mold. Invest in two to create storage options on either side of sink piping to really max out your space. For those who seek accessibility, this option displays all your goods for a quick grab and go. Toss rags, backup garbage bags and more in the 2-tier sliding drawers. 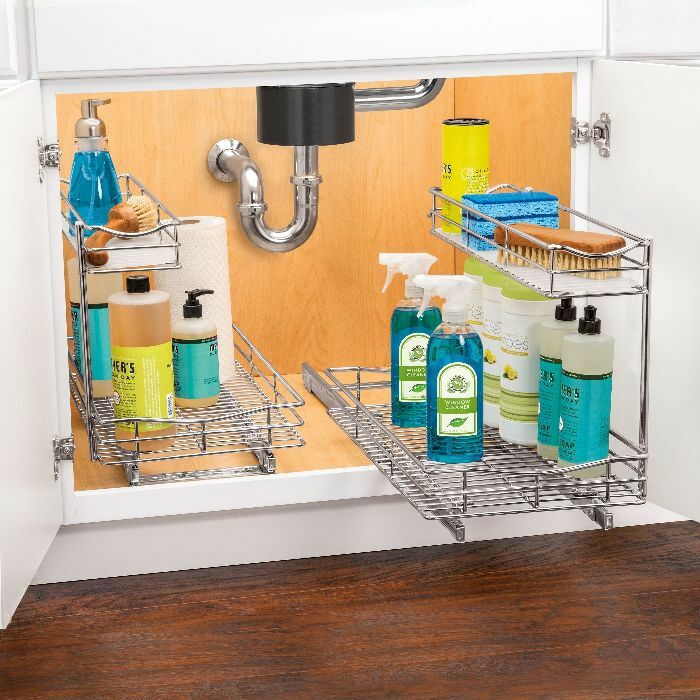 Regardless of how little space you may have under your sink, this expandable unit is the perfect way to display supplies. It removes the annoying shuffling of goods just to grab that bottle of Windex way at the back. Shelf heights adjust and can be individually removed to fit your exact needs. The metal material makes this option simple to wipe down when needed. If you’re lacking for cupboard storage in your kitchen, this wood pull-out shelf is the fix to adding structure to your space. Its easy-glide design makes it accessible and the adjustable dividers provide the best place to keep Tupperware and lids organized and accounted for. 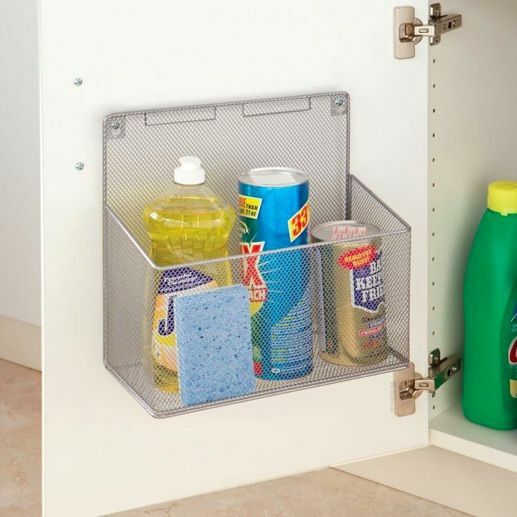 If the real-estate under your sink is already spoken for, this handy mesh cabinet organizer mounts to the cabinet door to create vertical solutions. Hide sponges, rubber gloves, paper towels and more in this nifty design. 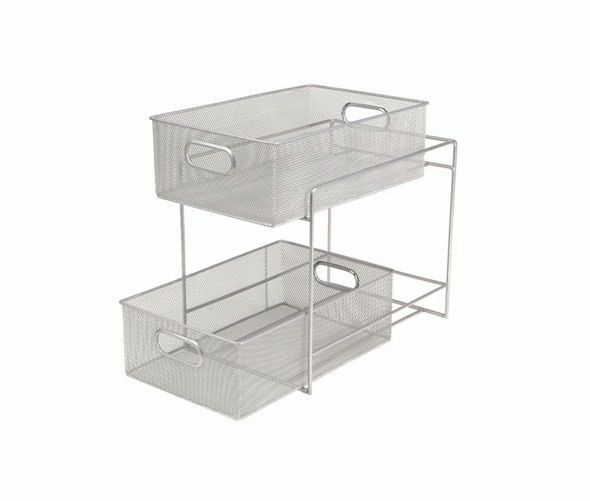 The Madesmart 2-tier plastic basket organizer is for those who strive for every drawer and cabinet to be presentable and ready for guests. 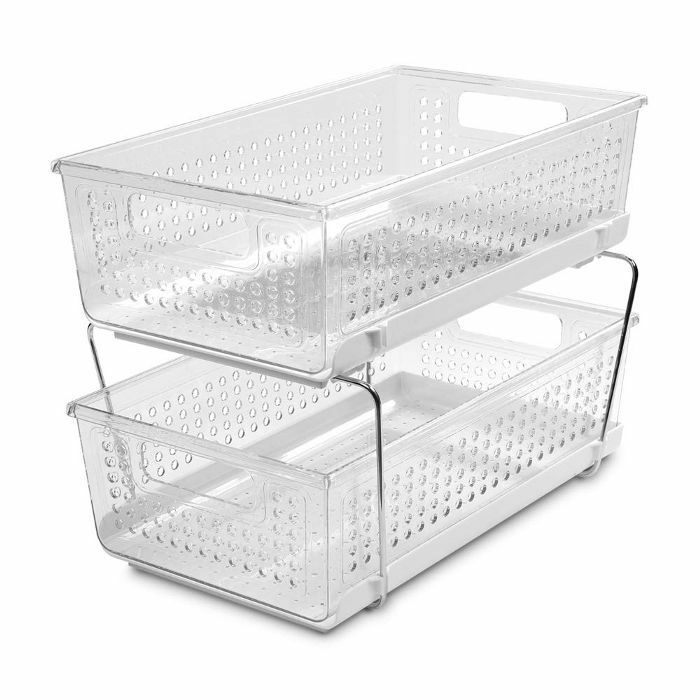 Both baskets glide out providing convenient storage for things you grab for often. 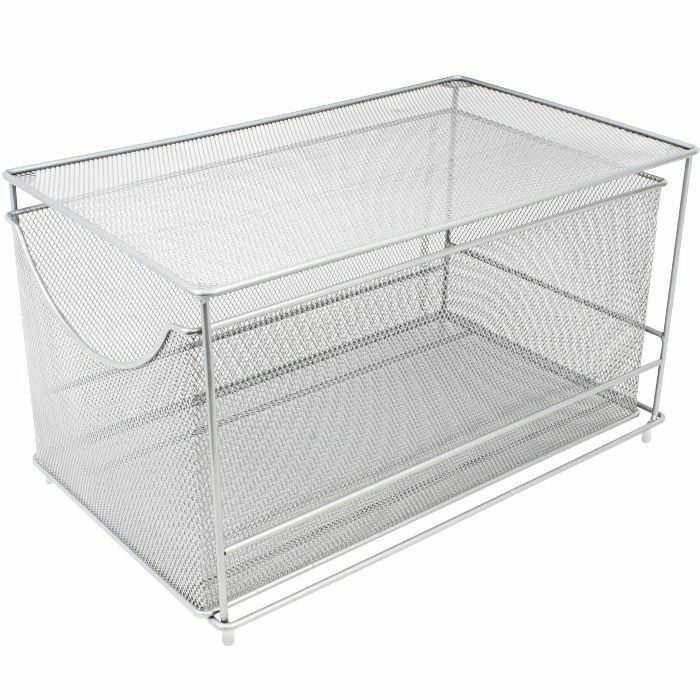 This mesh basket with cover is the best if you’re looking for storage that is stackable beneath your kitchen sink. It’s drawer slides out and is a great spot to tuck away cleaning supplies that aren’t visually pleasing. 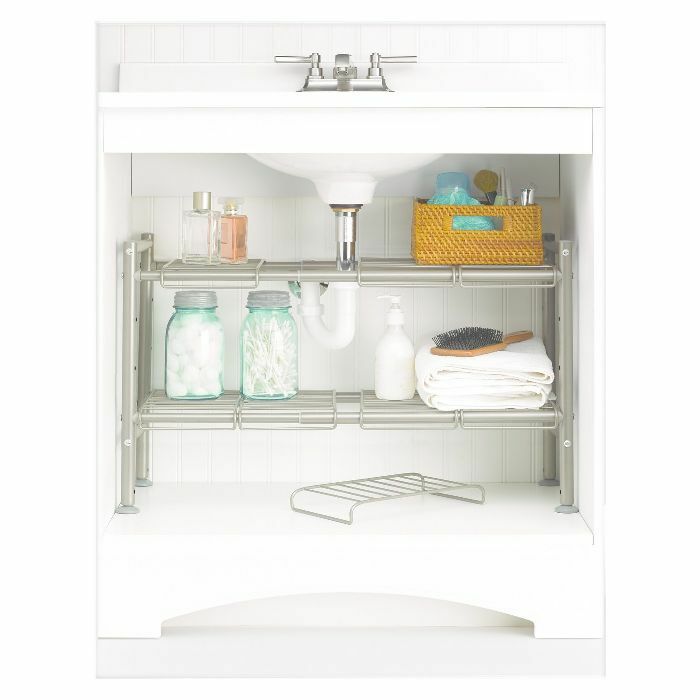 DecoBros offers a chrome solution which includes a drawer for stashing away clutter, as well as its top shelf for setting out items that you use more often. Consider using the top shelf to stack clean hand-towels or wet rubber dish gloves for kitchen use. 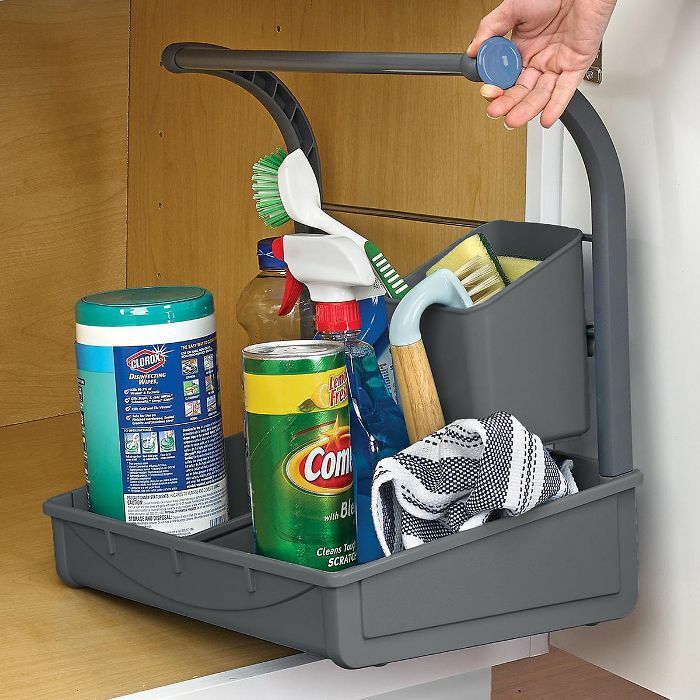 For those looking for a much heftier solution, this Household Essentials organizer supplies multiple offerings for those tight on counter space. The chrome design glides out efficiently and allows you to mount the second tier on the left or right depending on the format of your sink. The depth of the heavy-duty chrome design eliminates the problem of hard to reach corners making all your belongings accessible with a simple pull of the handle. 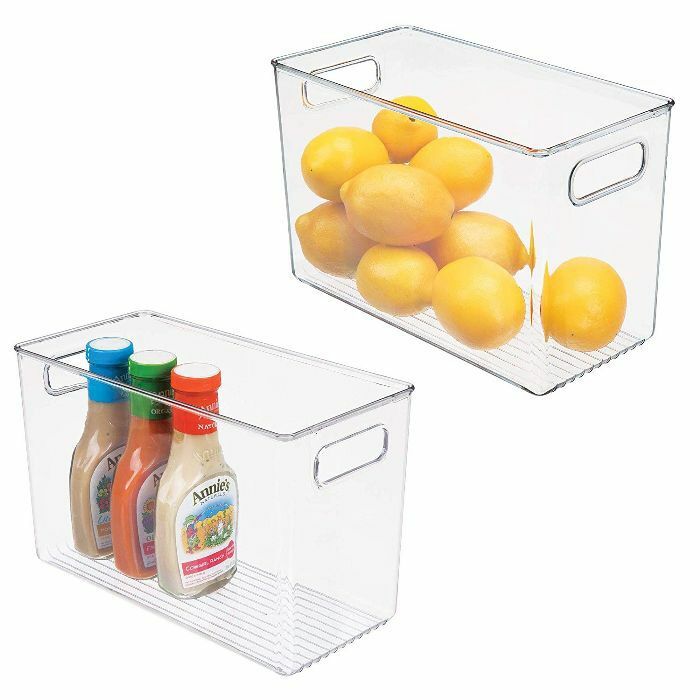 If you’re not looking for an under-sink solution that needs assembling, these plastic organizers are low maintenance and narrow enough to store in sequence. Lightweight and portable you can simply pull them out from under the sink when needed, and stowed away just as quickly. For those with lots of small goods yet no pantry space, this is a great way to organize spices, vitamins, and more. IKEA brings ultimate simplicity with its under-the-sink insert. 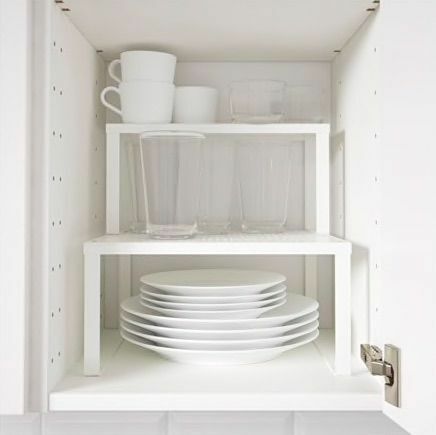 With the ability to be stackable, the VARIERA Shelf creates designated spaces for dish-ware, pantry supplies and more. 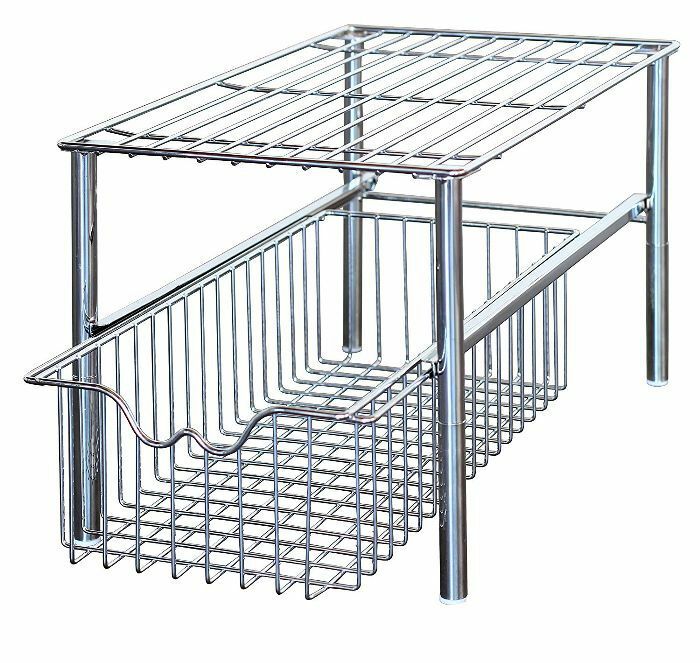 Those who are hooked on systemizing every aspect of their kitchen will rejoice for this organizer. On ball bearing slides, this pot organizer can be inserted into your under-sink area to become the dreamiest functioning cooking space. 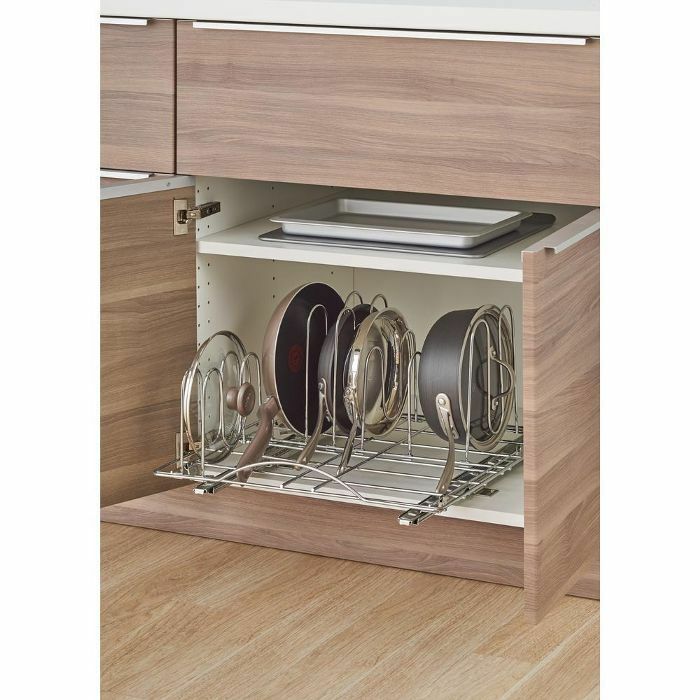 If baking is a priority in your household, turn your under-the-sink space into a sanctuary for your baking sheets, pots, and pans with this handy drawer. No more hiding them away in your oven—even casserole dishes deserve a home.